I was given, as one is, the fore leg of a young deer a while ago. I thanked the benevolent hunter warmly but promptly vac-packed it and stuck it in the freezer having no clue what to do with it. 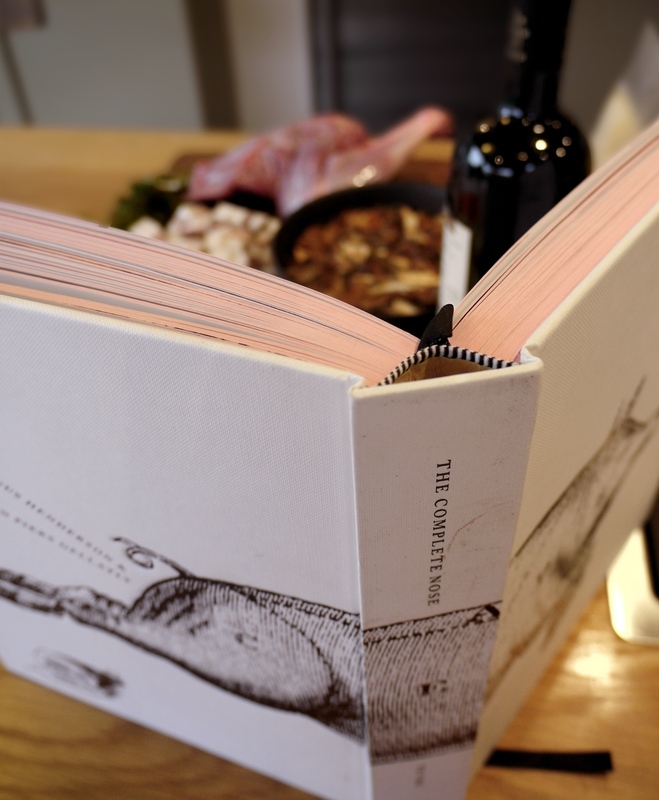 Fergus Henderson to the rescue with Day Six’s book – The Complete Nose to Tail. 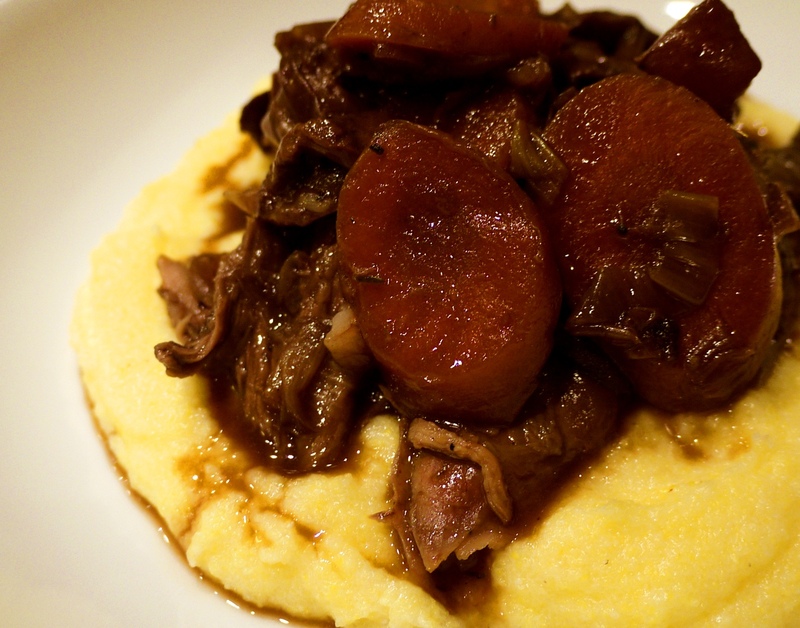 His recipe for Braised Front Leg of Venison is divine. Braising the leg in wine, chicken stock and the juice from rehydrated dried ceps keeps it moist and positively unctuous. The addition of veg makes it a one pot meal. That said, Fergus is clearly not a man used to budgets as the recipe calls for 450g of dried mushrooms, a whole bottle of wine and 450g of streaky bacon. I do cut down on these indulgent quantities, but then the despatched beast is only a wee Bambi and seems not to mind. I serve it with polenta, and whilst I’ll admit the picture doesn’t look awe-inspiring, the taste is perfection itself. Next: Day Seven – Butter. Simply put a load of cream in a free-standing mixer and turn it on full pelt. Eventually the butter will separate from the buttermilk (which, by the way, will spatter all over your kitchen) and, ta-da!, you’ve made butter. And buttermilk. All thanks to the very useful A Country Cook’s Kitchen, by Alison Walker, which provides helpful pictures and explains how to rinse the buttermilk out of the butter so it lasts longer. Wrap in greaseproof paper for that added bucolic touch.